Philippe's oysters. A mixture of #1s and #4s. After seeing the D-Day beaches, the Bayeaux Tapestry and le Mont St-Michel, I have lots of ideas for future posts. But since I want to do them justice, I'm going to need more time and a better internet connection than I currently have at our bed and breakfast. In the meantime, here's a photo journal of our trip to Cancale, a picturesque fishing village and the oyster capital of Brittany. Since mussels are my preferred shellfish, I was pleased that they're as fresh in Cancale as the oysters. If you're looking for an idea for dinner, here's the link for my favorite recipe for spicy mussels. I usually omit the fennel seeds and use fresh hot peppers instead of crushed red pepper and canned instead of fresh tomatoes. They're delicious with a crusty baguette. Bon Appétit! 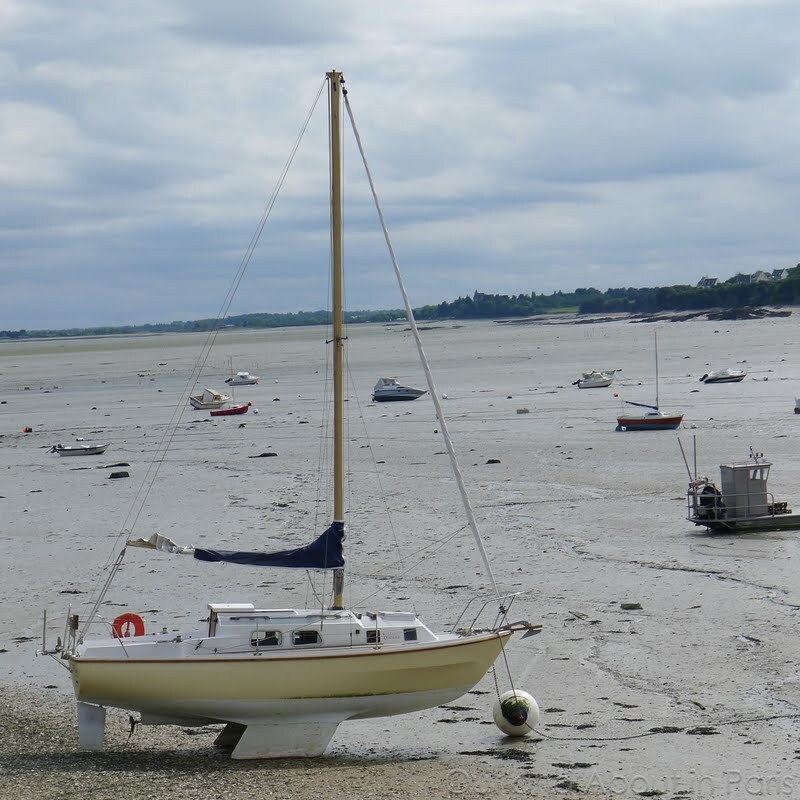 Boats in Cancale at low tide. It's strange to see them waiting for the water to return. serve them on a plate. There's even a restaurant selling glasses of wine to take away!. Or maybe you would prefer to buy a painting instead of oysters! I love the different shades of blue in these. All that's left of the oysters and lemons after the hungry tourists finish with them. 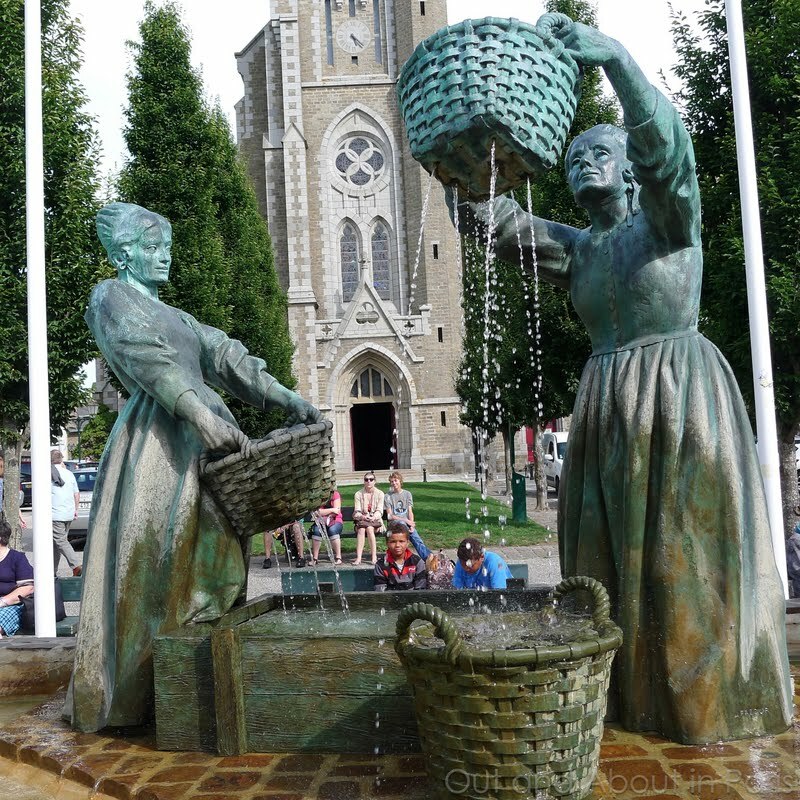 A fountain in Cancale - nineteenth century women washing oysters. My mussels were amazingly fresh and tasty! The oysters look amazing!!! I'm so excited to visit this area of France. I know my husband and I will gorge on the lovely oysters & wine! Nancy, Glad you enjoyed the photos! Sometimes it's a bit hard to leave the city because there's always so much going on but we've promised ourselves that we'll try to do a weekend trip once a month. The first one is already on the calendar for September. 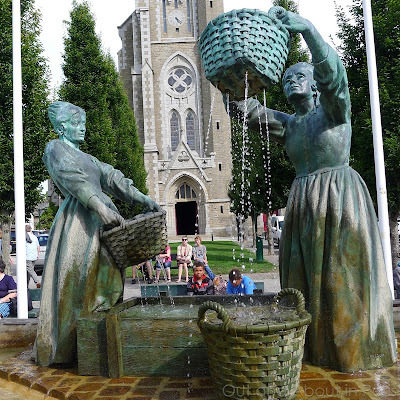 kbh, Normandy is a fantastic place. Way too much wonderful food, lots to see and not too far from Paris. It's just a shame about the weather. ;-) You'll be fine though as long as you have an umbrella. Hi Mary Kay, I'm at a client's home for another week or so, and not traveling with my computer. 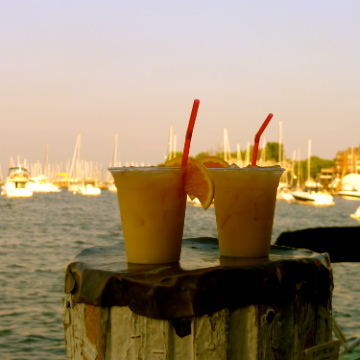 I miss your blog, so I just checked in this morning--I love this posting. Thanks for taking the time to write a comment while you're on assignment. I've missed hearing from you, although I've enjoyed looking at all of the photos of your past travels on your blog. Take care and "see" you soon. I'd rather eat les crustaces than paint! 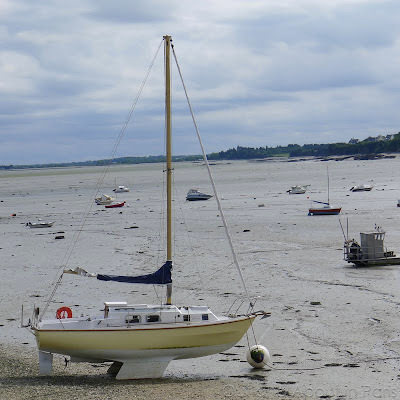 Cancale is a very fun village to visit, as is Honfleur. They both have delicious oysters, mussels, etc. Sorry, but I don't know how far Cancale is from Paris because we went there while staying at a B&B in Normandy. One bonus is that you see le Mont Saint Michel across the water from Cancale. St-Malo, which is very close to Cancale, is also supposed to be worth a visit. We didn't have time last weekend but I hope to get there soon. I wouldn't mind creating a post or elaborating on most of the subjects you write concerning here. Again, awesome weblog!